The skipper of the Patna Pirates had a difficult time in the first half against the Telugu Titans' defence managing two raid points. He sprung into action in the second half racing away quickly to his Super 10 and finished the match with twelve raid points. 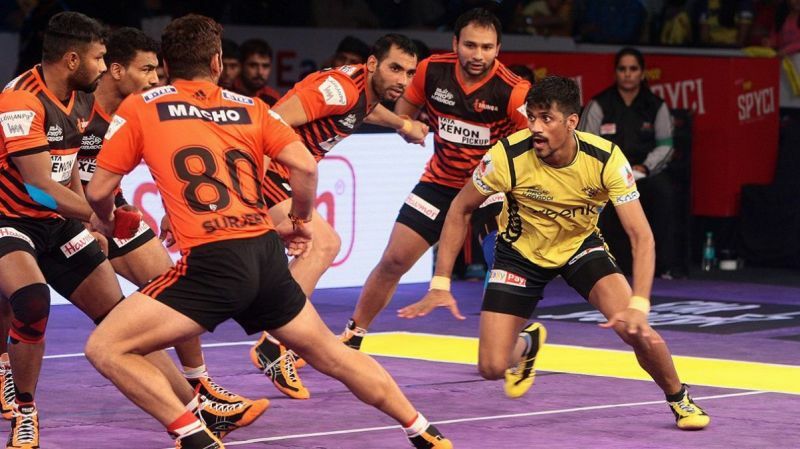 The former Puneri Paltan raider played a few minutes tonight picking up one bonus point before being replaced by Vijay Malik in the first half. The lanky youngster Manjeet had a tough time to get going tonight against the Telugu Titans' defence managing just two raid points and even put in a couple of unnecessary mistimed ankle holds. The cover defender was inefficient with his tackle attempts putting in mistimed tackles but managed to finish with three tackle points including one Super Tackle. The Korea cover defender was not effective in the Patna Pirates' backline failing to pick up any tackle point and conceded a few raid points. The right corner defender had a poor night in the defence for Patna and managed to pick up a couple of raid points before being subbed off at the end of the first half. The stable left corner defender was the best defender for the Patna Pirates picking up timely tackle points. He finished just short of a 'High 5' ending with four tackle points. 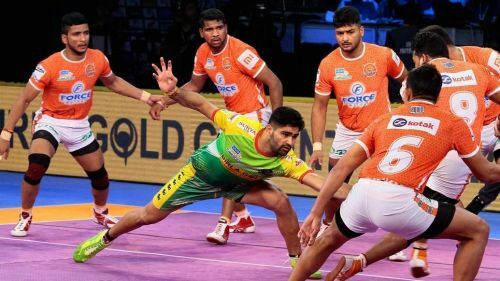 The all-rounder came off the bench early in the match and did well to support the star raider Pardeep Narwal picking up crucial bonus points. He finished with six points including one tackle point. The young defender came off the bench in the second half and scored a Super Tackle late in the match. The lanky defender came on to replace Jawahar Dagar at the end of the first half and did not manage a tackle point. However, he picked up a couple of raid points late in the match.